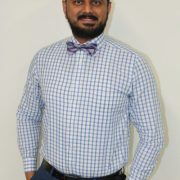 Published in the American Journal of Public Health (AJPH), Bhatt’s research examines the possible effects of Medicaid expansion on infant mortality rates by comparing infant mortality rate trends in states and territories by whether or not they accepted Medicaid expansion — stratifying by race and Hispanic ethnicity. You can view Chintan’s interview below, which begins at 27:00 and ends at 36:50. Using data from the National Vital Statistics System, Bhatt discovered that infant mortality rates declined in both Medicaid expansion and non-Medicaid expansion states between 2010 and 2016. However, the decline in Medicaid expansion states proved to be 50 percent greater than in non-Medicaid expansion states. Declines and differences in states affected by Medicaid expansion were greatest in African American infants. This drove the overall infant mortality rate difference by Medicaid expansion and reduced the infant mortality rate racial disparity in Medicaid expansion states. “Publishing and disseminating these findings has been extremely important to me, as the future of medical insurance coverage in the nation is presently under review,” says Bhatt, whose research findings suggest that Medicaid expansion may be an important way to address longstanding disparities in U.S. infant mortality by race. Millions of Americans were affected by the Patient Protection and Affordable Care Act (ACA), which resulted in changes to health care benefits, coverage and related regulations. Since ACA was implemented in 2014, the uninsured rate decreased, specifically among women aged 18 to 64 years and in the 31 states and Washington, D.C., which accepted Medicaid expansion. The most frequent users of medical services are pregnant women, mothers and infants, making them potentially the most likely beneficiaries of Medicaid expansion. The Medicaid program has financed coverage for low-income pregnant women for years, covering approximately 45 percent of U.S. births. Medicaid expansion states are required to cover 10 essential health benefits including pregnancy, maternity, pediatric care, chronic disease management, breastfeeding support, contraception, mental health, substance abuse screening and treatment and other behavioral health services. Bhatt says, because of the dynamic maternal, infant and child health care services required by Medicaid expansion, it may be one of the most important ways in which the ACA may improve maternal and child health outcomes, such as infant mortality. Bhatt is a medical graduate from India. 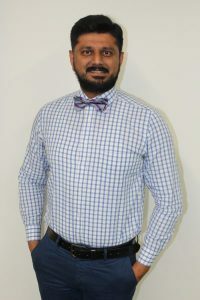 He obtained his Master of Public Health (MHP) in epidemiology from Stempel College and is a currently a doctoral candidate in the college’s Department of Health Promotion and Disease Prevention. This article previously appeared on FIU News and The Latest.